My parents have a single apple tree in their yard. Year after year the apples just never made it. They never got good enough to eat. Well this year the tree was full of red yummy apples. One day my dad had this bright idea to pick these apples. Well let me tell you, I was the one picking the apples. He held the ladder. But after all that, we managed to get four large crates full of juicy apples. 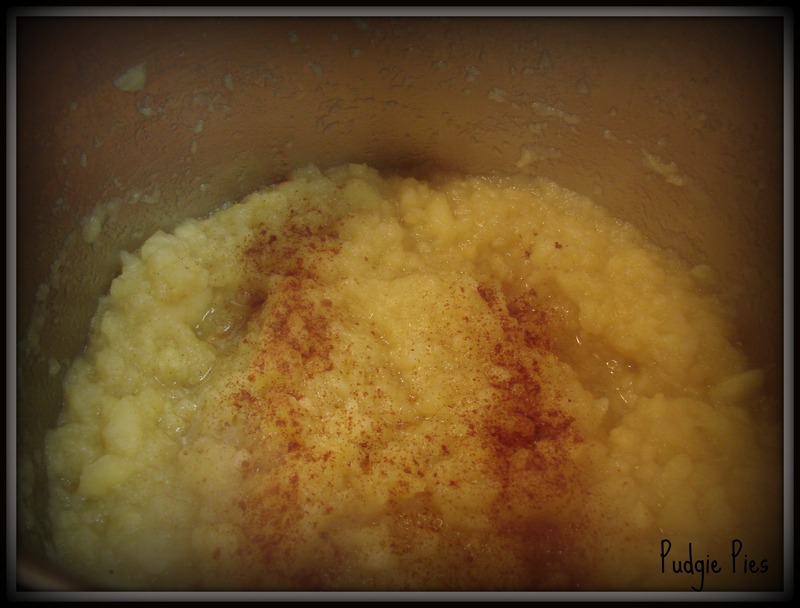 Unfortunately I never measured the amount of apples or cinnamon that was used. We did everything in bulk and taste tested it. But I thought I would still post the result because it just taste so good. We peeled all the apples by hand. dumbest move we have ever decided to do. Out hands were cramping, our feet hurt, our backs hurt. I really need to invest in an automatic apple machine. 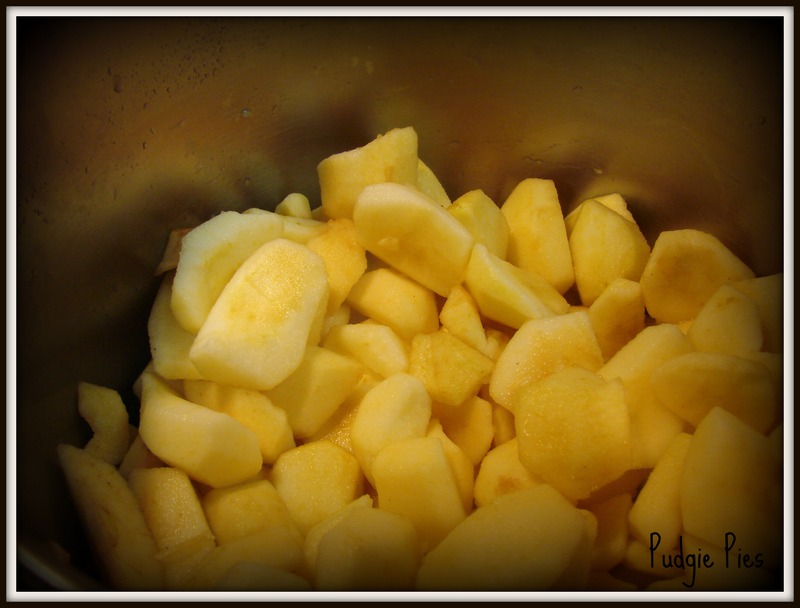 We cut the apples into medium size pieces and filled the stock pot. Adding about 1/2 cup water. Cook the apples at medium heat siring every so often. 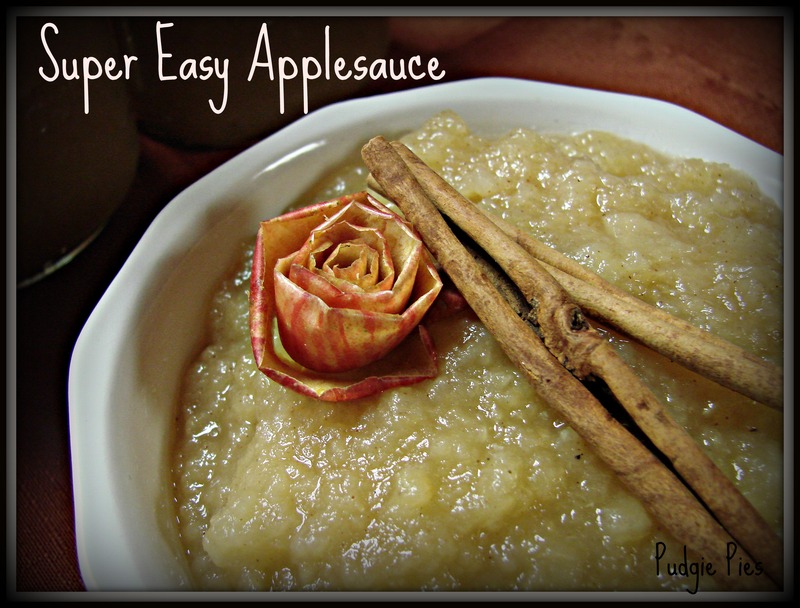 Once the apples soften mash them with a potato masher. I prefer a thicker sauce with heavy chunks. If you use an automatic apple peeler machine, the pulp will me much thinner. Almost that of which you buy in a store. Add the cinnamon. Use as much as your choose. Taste it. Its hard to mess it up. See how chunky it is? So Yummy! 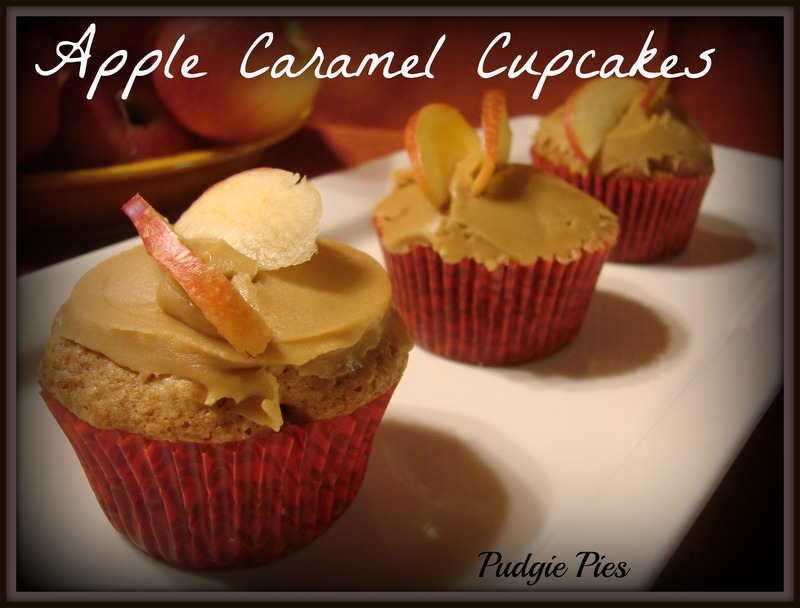 You can add sugar to sweeten it up. I didn’t add a whole lot. Less then a half a cup. But I have read recipes that add two cups. So its up to you. Once you have the sauce to your liking. Let it cool then scoop into containers. I froze mine. Maybe next year I will can it. But I didn’t have the time. We took our peelings to the donkeys. They really enjoyed the treat! Today I woke up on this crisp September morning to the smell of burning leaves. I soon realized fall has begun. Today is the day we welcome our fist annual autumn family picnic. 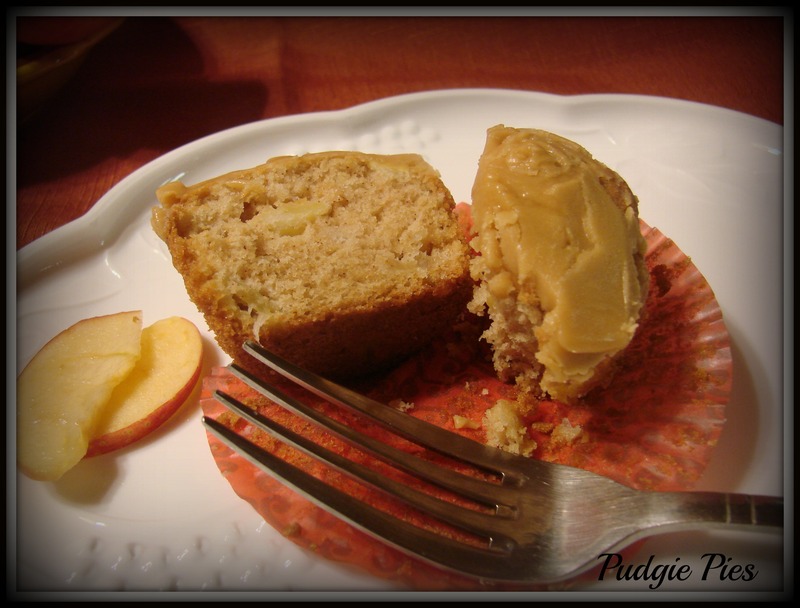 As I pull the delicious pumpkin bars from the oven, I prepare in my head for this post. Welcome back Pudgie Pie fans. We’ve made it through a long hot summer. Stir together flour, baking powder, cinnamon, baking soda, and salt in a bowl. Next combine eggs, pumpkin, sugar and oil into a medium size bowl. Beat until combined. Add dry ingredients. Beat until well combined. Spread batter into ungreased 15x10x1 pan. Bake at 350 degrees. For 25-30 minutes. When finished set aside to cool. Beat together cream cheese, butter and vanilla until light and fluffy. 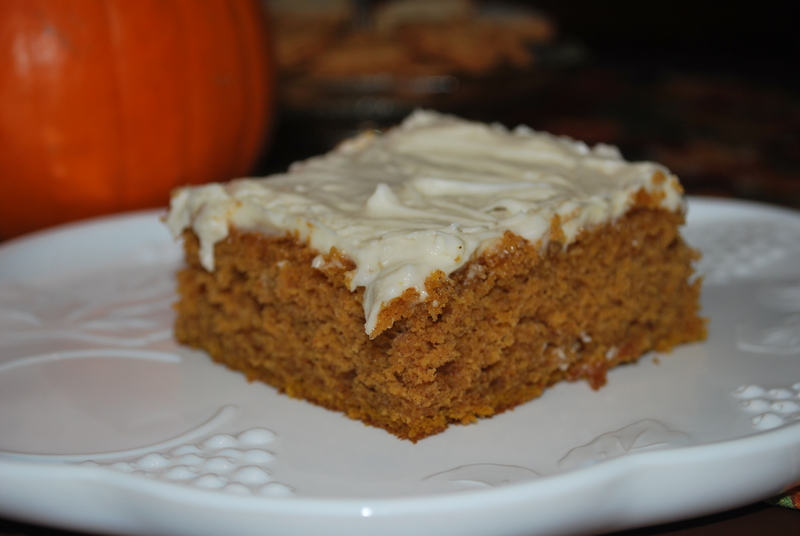 Cream cheese frosting must be doubled for this pumpkin cake recipe. From the second you open your eyes in the morning and flip over the covers to place your feet on the floor. The smell of crisp, cool air flows through your nostrils. You make your way down to the kitchen. A full pot of coffee has been brewed and waiting for your enjoyment. The steam curls into the air as you pour it into your favorite mug. And sip. Now take a deep breath and sigh. Because the warm nights are over, and the cool nights have crept in. Along with foggy mornings, cloudy skies, colorful leaves, and lots and lots of pumpkins! Welcome to fall ladies and gentlemen!This Saturday starts the official first day of fall. 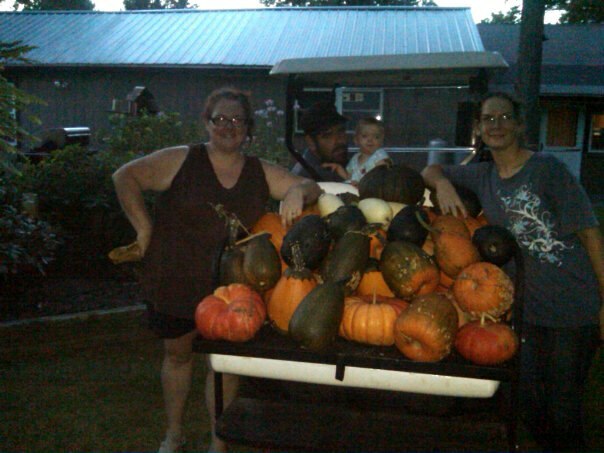 But as we in the northeast have already had our heat on in the evening, it has begun for us and a few across the U.S..
My sister and I went up to the pumpkin patch and to our surprise we have uncovered batches of gourds and pumpkins. All just waiting to be picked! And so we did. Climbing through vines and thorns, using boards to climb from on hill to the next became quiet the adventurous journey. MacKenzie tagged along safely on the golf cart with her Pappy. But really she had no interest in the pumpkins what so ever. She was more concerned with playing with the keys and taking off her socks. She’s a pudgie! Last spring we threw handfuls of seeds over grassy banks. Some of the pumpkins were starter plants that we actually planted. But believe it or not the handful of seeds seemed to prosper the most. Such a festive array of colors. It truly gets you excited for fall.